The headquarters of Delta Airlines in downtown Atlanta glows in the night sky. 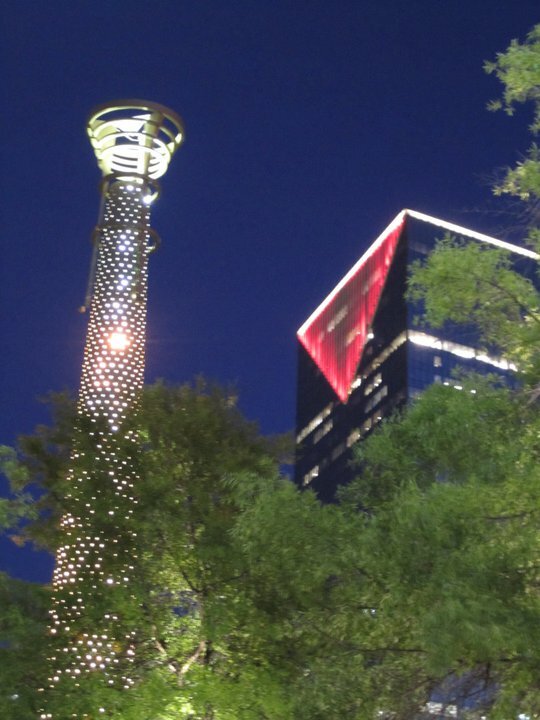 By day Centennial Olympic Park is a gorgeous green space and by night it is a luminous light show, offering up quite a view for many patrons staying in the hotels located around its perimeter. It is a safe and serene place, smack dab in the heart of the downtown district, where you can pass the time away at your leisure and soak up some of the infectious Atlanta ambience. 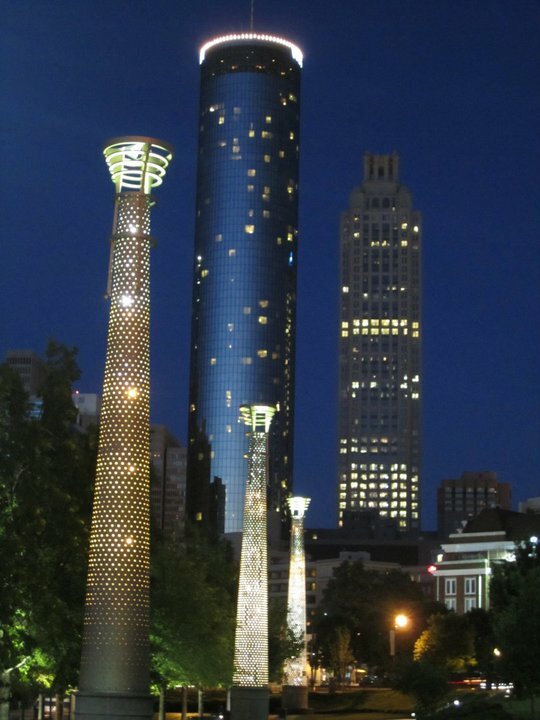 In 1996, Atlanta hosted the Summer Olympics marking the 100th year of the games being held. Medals were given out at Centennial Olympic Park and there was plenty of other “town square” type activity to keep the crowds entertained. It is unfortunate that this site will forever be marred by the bombing that took place in the closing days of what was otherwise a very safe and very successful Olympics; however, over 15 years later, the site is still a central gathering point that plays host to many city festivals. For example, in early May the Taste of Marietta helps kick-off Cinco de Mayo celebrations with local food vendors, artists and musicians all eager to share their time and talents. ...and luminous by night looking toward the circular design of the Westin Hotel. 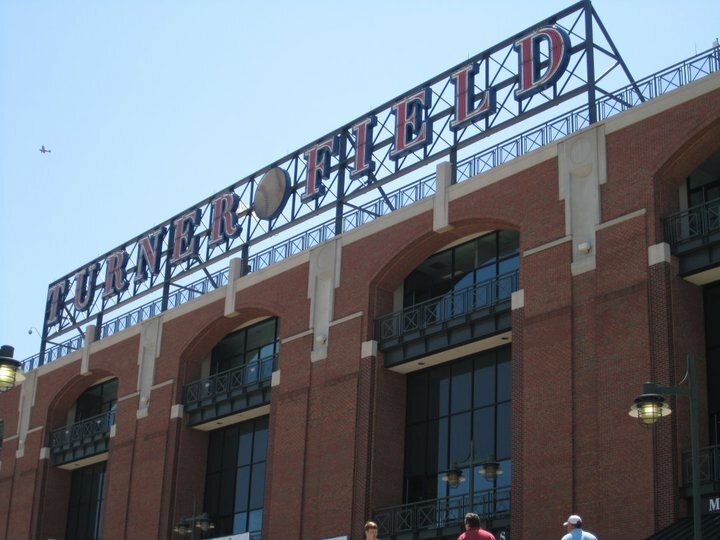 Home of the much-heralded and much-maligned Atlanta Braves (a.k.a. 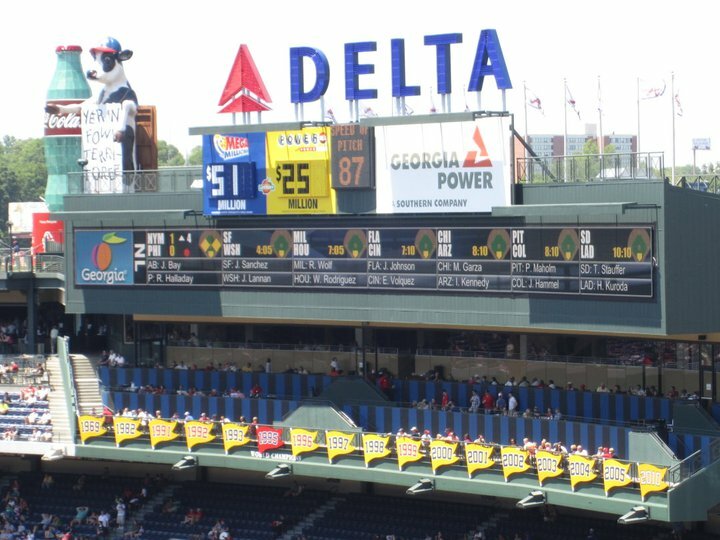 the proverbial bridesmaids of Major League Baseball whose many divisional and pennant titles over the years just can’t seem to overshadow the fact they haven’t won the really big one of late), Turner Field is the quintessential American ballpark. It doesn’t get any better than taking in a game from the “cheap seats”, catching some afternoon sun, joining in the chorus of the infamous “War Chant” and its corresponding tomahawk chop, and chowing down on some pretty decent concession food that offers a gourmet flare a la Georgia style. 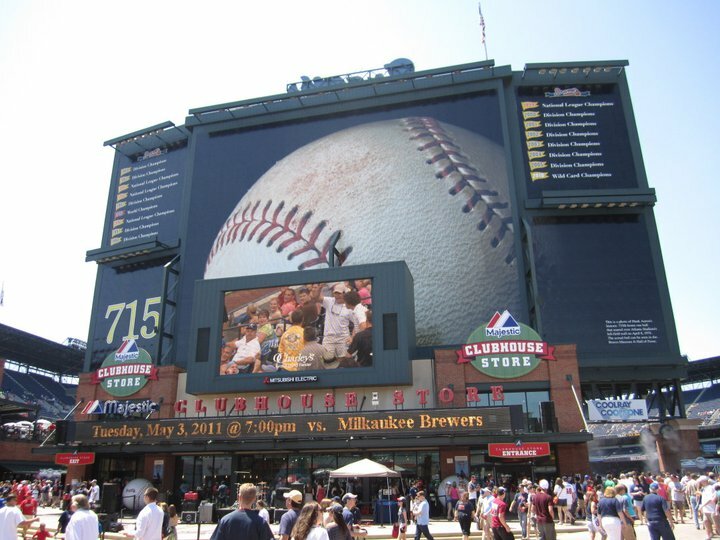 Take the time to walk around the exterior and interior corridors and celebrate the great tradition of this team that is generally in the mix of things come September/October when the race for the pennant/World Series title is on. A proud, winning tradition - the Atlanta Braves just need some more World Series titles! Welcome to the land that Ted Turner built — big, bold, bustling — you would expect nothing less from the man who set the world standard in the delivery of cable news and “superstation” entertainment. 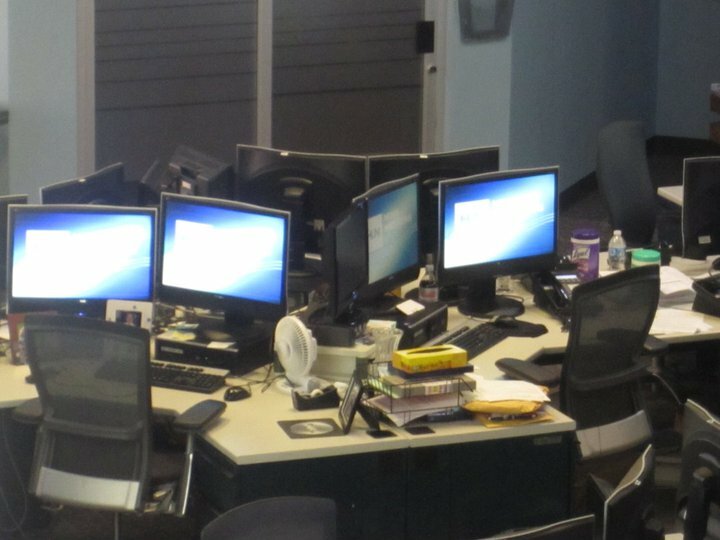 Sure it’s been many years since Mr. Media Mogul ventured into the land of retirement and philanthropic pursuits, but he certainly left a lasting influence and CNN headquarters is a fitting legacy to this TV legend. The place basically runs like a well-oiled machine, but every now and then some “Breaking News” causes a stir and everyone is on their toes as they scrap their carefully prepared scripts and “wing it” on a hope and a prayer as new details become available. Case in point, in early May 2011 what started out as a pretty routine and basic news days on Sunday the 1st, allowing for full studio tours to be conducted without interruption during the day, was quite a different story later in the evening after the news broke out of Washington, DC regarding Osama Bin Laden’s death following the raid by US Special Forces on his compound in Pakistan. Oh to have been a fly on the wall when that news came across the wire…as it stands, we were left to our imaginations of what a mad panic frenzy it likely was behind the scenes as the various anchors and reporters did their utmost to appear calm, cool and collected as they delivered one of the biggest news stories of the year! 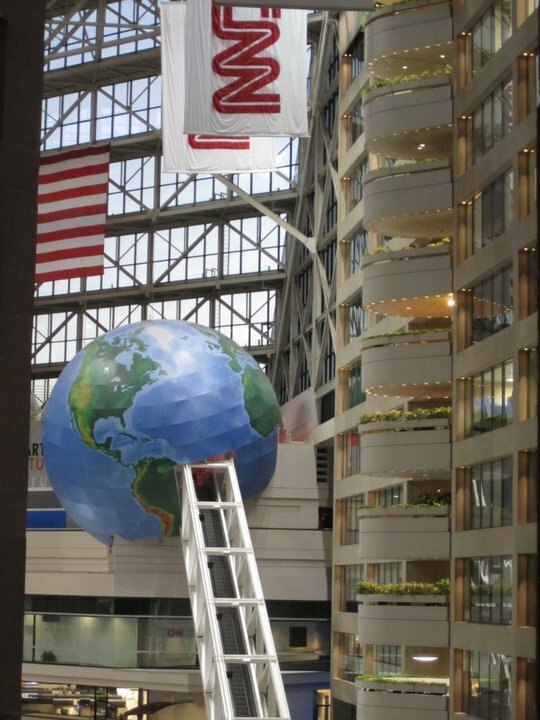 Welcome to CNN: the house of news and entertainment that Ted Turner built. Located on the same parcel of land in Pemberton Place and just minutes from Centennial Olympic Park, these popular tourist attractions draw large crowds and cheers of delight from young and old alike. The Georgia Aquarium is the world’s largest aquarium with over 10 million gallons of water and more marine life than any other on the planet, including beluga whales, otters, penguins, manta rays, hammerhead sharks and many other species from the biggest of the big to the smallest of the small. 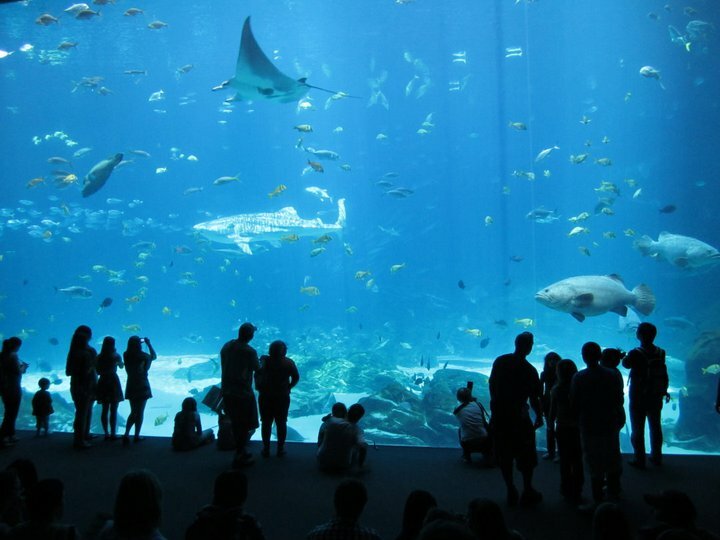 There are over 60 exhibits to venture through and a unique feature is that the Aquarium offers a true world view of what aquatic animals encounter and experience in their native environments. The Aquarium was a gift to the city of Atlanta bestowed by another iconic local businessman — Bernie Marcus, founder of The Home Depot — and it was his vision to provide a venue that would not only give back to the city’s residents, but would also entice visitors to the city through a world-class venue. Mission accomplished –the gigantic Ocean Voyager tank that has whale sharks swimming amongst manta rays and a host of other ocean creatures is a feast for the eyes; while the gentle spirit of the beluga whales at play with each other and friendly seals in the Cold Water Quest tank is pure fun for the soul! Can you imagine trying to find Nemo in this tank! 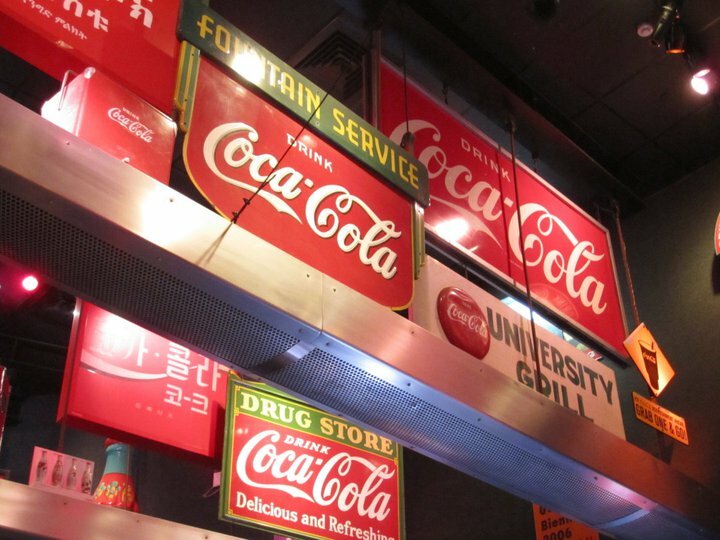 Coca-Cola is another Atlanta success story and the World of Coca-Cola is a mammoth 60,000 square foot facility that tells the story of the most recognized brand of pop in the world. There are plenty of artifacts on display from old billboard signs to a fully operational old-fashioned bottling line, but the creme de la creme of this attraction is the Taste It! center where you can sample flavored versions of Coke and its associated products from around the world. Ever wondered what Sparberry from Zimbabwe tastes like, or how about Bibo from Turkey and South Africa? Well, wonder no more and sample for yourself over 60 refreshing drinks, but watch out for the sugar buzz that is sure to follow! Before leaving the hallowed halls of Coca-Cola, be sure to check out the Pop Culture Gallery and linger in the lobby for a bit to admire some of the life-size bottle statues created as part of a worldwide competition leading up to the 1996 Summer Olympics. The signature red and white trademark of the Coca-Cola brand has stood the test of time. The man who “had a dream” is forever enshrined in honor and glory deep in the heart of the city where he was born, raised and trained to be a Baptist minister. 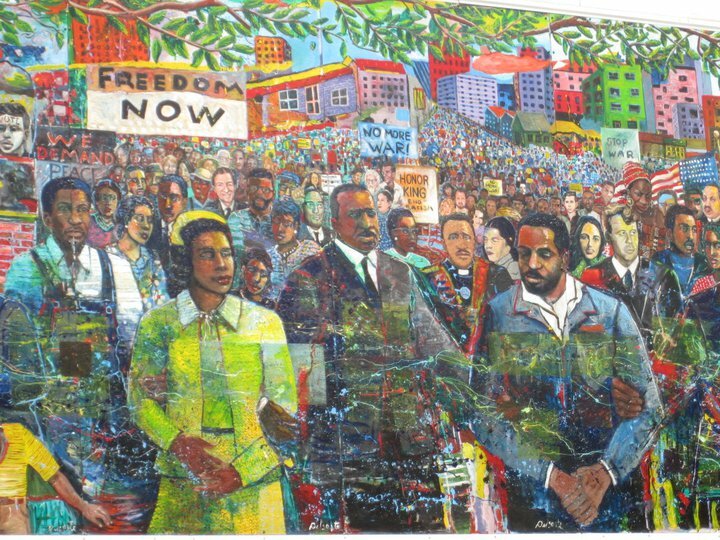 A bold and colourful mural depicting him surrounded by throngs of supporters during one of his many protest marches located outside of the Visitor Center is a perfect representation of Dr. Martin Luther King, Jr. the man, the civil rights advocate, the Nobel Peace Prize winner, the legendary orator in action, bravely leading the masses in search of an end to racial segregation and discrimination, and the beginning of a new American values system that embraced equality for all and the notion of a “color blind” society. He was fiercely proud of his southern roots and showed staunch support for African-Americans under attack in neighboring states. In the “Courage to Dream” exhibit inside of the Visitor Center, a full history of Dr. King’s significant accomplishments are on display, including his involvement in the Montgomery Bus Boycott, the Southern Christian Leadership Conference, and, of course, the infamous March on Washington where Dr. King delivered the iconic “I Have a Dream” speech. Some other attractions at this site are the crypts of Dr. King and Coretta Scott King, Jr. on display outside of The King Center and the International Civil Rights Walk of Fame where the footprints of civil rights pioneers from days gone by are permanently etched in granite, along with a statue of Gandhi that pays homage to the man who was an inspirational force in Dr. King’s work and laid the groundwork for his philosophy of carrying out civil disobedience via non-violent methods. Peaceful protest makes for powerful results! The 39th President of the United States and a Nobel Peace Prize winner in his own right, Jimmy Carter is Georgia born and bred, and is a man who knows how to reinvent himself. After enjoying a successful career as an US Naval Officer, he became a peanut farmer before turning his attention to public service; first as State Senator, then Governor of Georgia, ultimately becoming President in 1977. While President Carter only served one term in office, the four years between 1977-1981 were eventful — particularly on the international front — and it was during this time that Camp David became synonymous with US efforts to garner a peace treaty between Israel and Egypt. President Carter played host to a series of “peace talks” between Menachem Begin and Anwar El Sadat, ultimately resulting in the signing of the Camp David Accords that eventually led to the official formation of the Egypt-Israel Peace Treaty in 1979. Other successes on the international front during his tenure included the Panama Canal Treaties and US participation in the second round of Strategic Arms Limitations Talks (SALT II). A legacy of President Carter's time in office was the Egypt-Israel Peace Treaty. Unfortunately for President Carter, his successes were overshadowed by dire economic conditions in the US, the Three Mile Island nuclear disaster, the US boycott of the 1980 Summer Olympics in Moscow following the Soviet invasion of Afghanistan, and the Iran hostage crisis. All of this to say that his administration lost the confidence of the US electorate and he was ousted in favour of Republican Ronald Reagan. Finding himself out of office, President Carter reinvented himself once again and, along with wife Rosalynn, founded the Atlanta-based Carter Center in 1982, a non-governmental, not-for-profit organization focused on human rights advocacy. In this capacity, President Carter has continued his work as a peace negotiator, has overseen international elections in the interest of fair voting, and has endeavored to prevent and eradicate disease in developing nations. 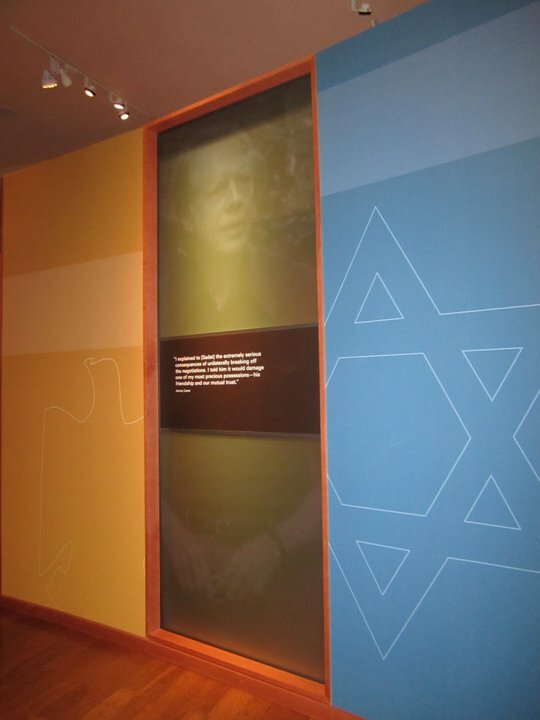 Situated on the same plot of land as the Carter Center is the Jimmy Carter Library & Museum that includes a replica of the Oval Office and exhibits highlighting his work with the Middle East Peace Process and the Panama Canal Treaties. 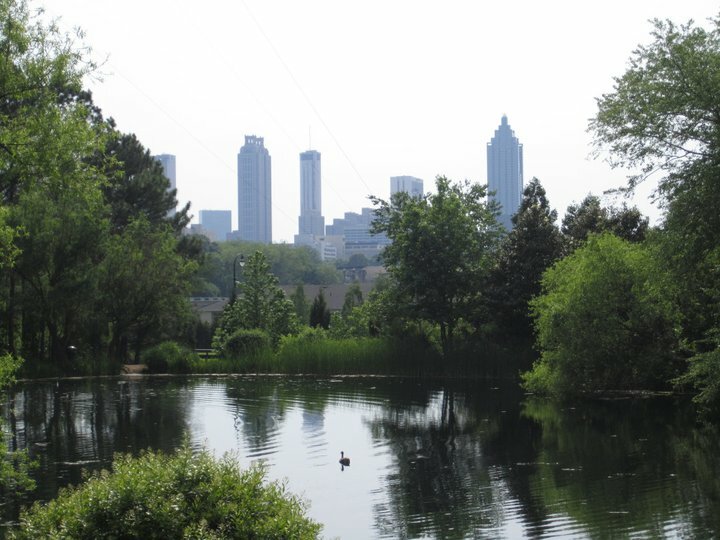 A peaceful and picturesque Japanese garden in the back overlooks downtown Atlanta and is symbolic of President Carter’s efforts to broker peace around the world and is his own backyard. 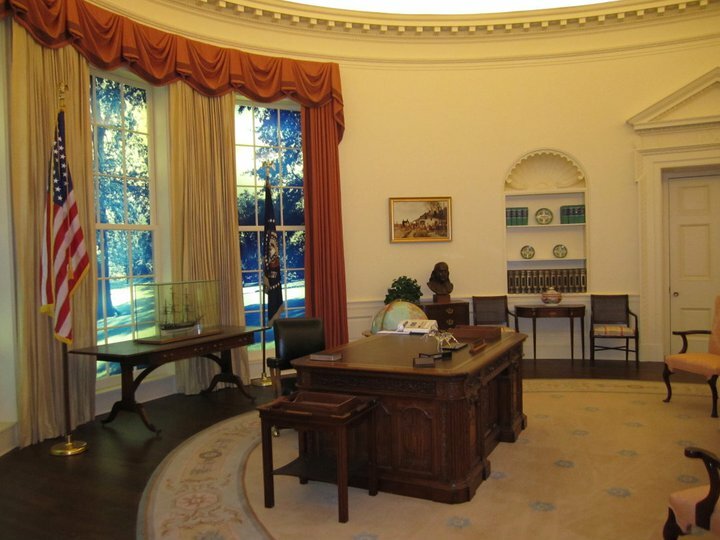 The Oval Office as it was during President Carter's four-year term in the White House. If you’re looking for the hottest, most happening spot in Atlanta, look no further than the trendy Buckhead area where foodies converge to shop at Whole Foods or dine at the city’s best eateries, where visitors flock to see the Atlanta History Center and the impressive Governor’s Mansion, and where diehard shoppers descend to drop their hard-earned cash on everything from designer to local artisan goods. It’s the “it place” to be and, if you look long and hard enough, you may just find a parking spot to stop and do some window shopping and people watching. While in this part of town, hop on over to the High Museum of Art, known as the “Louvre” of North America, located along Peachtree Street to take in the best collection of art in the US deep south. 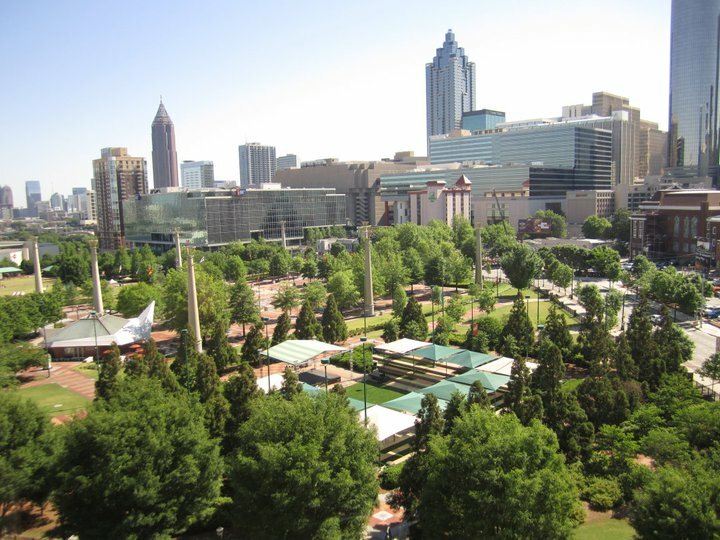 The downtown skyline of Atlanta beckons from the peaceful gardens outside of the Carter Center.